The timely intervention of the Odorkor District Police Command saved residents of Gbawe Zero, who were held hostage by a 20-year-old boy rumoured to be in the sakawa (internet fraud) business and living at the St Anthony's Estate. 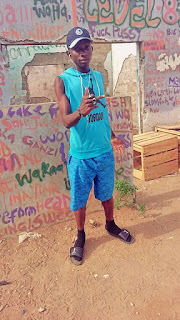 Ali Mohammed, aka Don Sakawa Dollars Ali, the suspected 'sakawa' boy, was believed to have gone berserk, after allegedly defying orders of his cult. He is said to be the owner of a $150,000 storey building located within the estate and also owns four vehicles. Two persons got severely injured while another had his Mercedes Benz car damaged as a result of his action, before the police apprehended him yesterday. 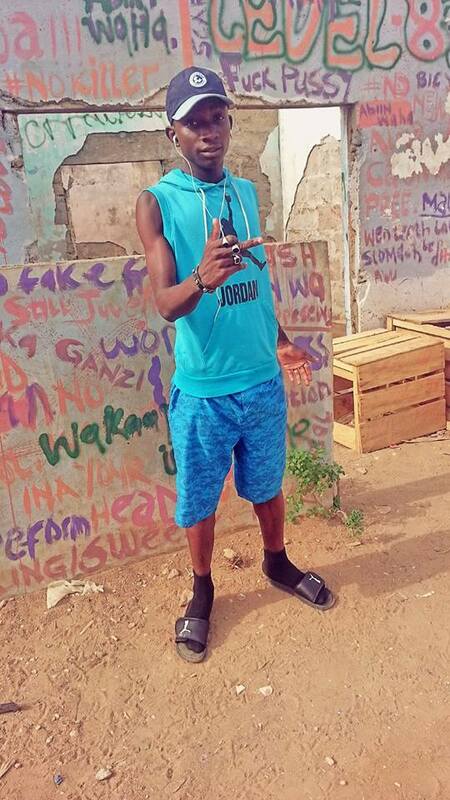 Some residents say Ali Mohammed lives in the storey building with only his gateman.
. Mohammed bought the apart­ment two years ago and lived alone but was constantly visited by his friends who were his age mates and drove in posh cars from Accra New­town. Two weeks ago, residents claimed, Mohammed started acting strangely and constantly chased his gateman out of the house. "The other time we saw him, he was throwing his valuable items out­side the house and since none knew his family, no one could help," a woman said. On Monday April 7, 2014, around 7:00 am, Ali Mohammed, it was alleged, nearly stabbed a resident with a knife. In the early hours of yesterday, around 3:00 am, according to some of the residents, Mohammed was seen moving from house to house, order­ing residents to vacate their homes. One of the neighbours had his head hit by Mohammed who was wielding a machete, having held his victim's family hostage for several hours. Another resident had both the front and the back windscreens of his Mercedes Bern damaged by the sus­pect in the process. The Odorkor Police were called to the scene to save the rest of the vic­tims who had been trapped inside their homes by the suspect. DSP Emmanuel Osei Agbogah, the Odorkor District Crime Officer, said it took the police several hours to apprehend the restless suspect. "The man seemed to be mentally deranged and so the police had to act professionally to save the situation/' he disclosed. He noted that Mohammed, upon seeing the police, quickly ran and hid himself in one of the rooms on the first floor of his storey building. All doors to the house were locked but the police managed to convince the suspect to open the door, which he did, according to DSP Osei Agbogah. Mohammed was immediately arrested and kept at the police station to be sent later to the psychiatric hos­pital for proper medical attention. Meanwhile, when DAILY GUIDE contacted Baba, his gateman, he said Mohammed did not receive any rela­tives and was only visited by his friends from Accra Newtown. "My boss started misbehaving strangely a week ago, but the situa­tion became worse last Monday when he attempted to stab a woman with a knife," the gateman said. Baba, who claimed he did not know the kind of work his boss did, claimed he (Ali Mohammed) normal­ly left his apartment at 10:00 pm and returned after 3:00 am each day. "Ever since I started working with him, he neither brought any woman into the house nor a relative," he revealed.